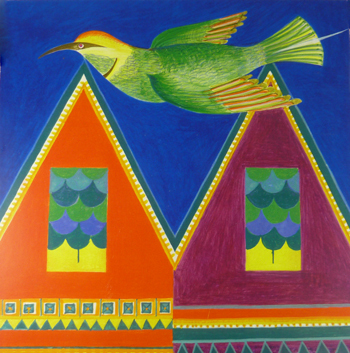 "Flying Home" by Janice Mattox. This folk art style print is from an original pen and colored pencil drawing. The bright primary colors and strong lines carry this folksy piece. The 1 5/8" deep box frame measure 10" x 10".